A US citizen has been allegedly killed by Sentinelese tribesmen, one of the last remaining uncontacted tribal groups in the world. 27-year-old John Allen Chau, a resident of the southern state of Alabama, was last seen alive on November 16. For a long time, North Sentinel Island, the home of the Sentinelese, had been out of bounds to Indian citizens and foreign nationals. 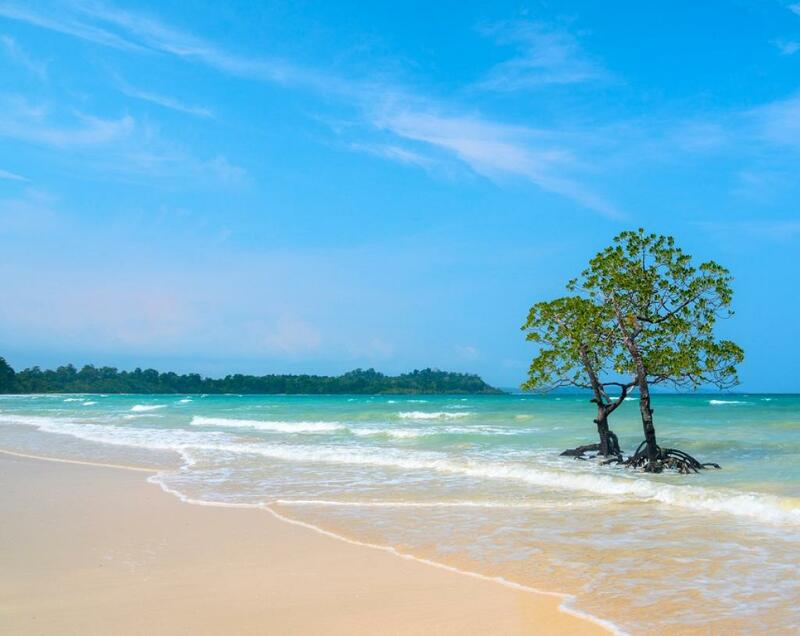 However, in the first week of August 2018, the government of India removed the Restricted Area Permit (RAP) from 29 islands in order to foster tourism in the archipelago of Andaman & Nicobar. Thus, foreigners will now no longer require the RAP till December 31, 2022, to explore 29 islands in the Union Territory. Media reports have stated that Chau was an evangelical preacher who wanted to preach the Christian faith to the Sentinelese. “My sources have confirmed it. He was in touch with the pastor and congregation of Mayabunder, which is the headquarters of the North and Middle Andaman district. He had reportedly gone to North Sentinel on November 13. He ventured out again the next day, with seven local fishermen. He carried a Bible and an air pillow. On reaching the island, he told the others that he would be gone for 2-3 hours. While he went towards the forest, the others went to fish. When he did not return after the stipulated time, the fishermen started scanning the area with a pair of binoculars. They soon spotted his body half-buried in the sand on the beach,” relates Denis Giles, editor of local daily, The Andaman Chronicle. In 2006, two fishermen, drunk on palm wine, had drifted in a boat to the shore of North Sentinel Island. They were reportedly killed by the Sentinelese. Even when an Indian coastguard chopper went to the area to investigate and recover their bodies, it was attacked with bows and arrows by Sentinelese warriors. In 2004, after the Indian Ocean Tsunami, a member of the Sentinelese shot an arrow at an Indian Coast Guard helicopter that flew over North Sentinel Island to assess whether any damage had been caused. The Sentinelese tribe, which is protected under the Andaman and Nicobar Islands (Protection of Aboriginal Tribes) Regulation Act, 1956, is one of the 6 aboriginal groups of the archipelago which also include the Great Andamanese, the Jarawa, the Onge, the Shompen and the Nicobarese. They are descended from the earliest humans that ventured out of Africa. Trilokinath Pandit, who was the only anthropologist member of the the expedition in 1967 to North Sentinel Island and who has written the book “The Sentinelese” also spoke to Down To Earth on the issue. “I do not know the exact details of the incident. But I would like to believe that the Sentinelese did not kill this man. From what I saw of the tribe back in the 1960s, they never killed people whom they were hostile to. They did shoot warning arrows at such people but not on target. Only in one case did an arrow hit somebody, causing a minor wound. Nevertheless, the incident should be thoroughly probed,” he said. Government of India should not ply with such tribes.Constitution of India protect these tribes with so many provisions. GoI must think trice before taking such idiotic decisions. This is what that happens when the preachers try to preach those who don't want them. He proceeded to preach illegally, the tribesmen taught him their laws.